120 minutes! Coaching session. Consultations go beyond subconscious programs, beyond guides and angels or past life regression. This is about the raw science of creating your reality. What areas of your life are you experiencing the most challenges? All areas are connected! This is about you owning the truth of who you are as the creator of your reality hologram. Your consciousness is the source behind the creation of your life’s journey. We will explore where your life is currently positioned and where you envision going. We clear away the cobwebs for clarity and direction. This is a 120-minute session. This is possibly your time to more sternly take action in clearing a path for moving into the next cycles of your life. This journey can be a mind wipe or so it seems. As our understanding expands we begin to see beyond the smoke and mirrors. We become less invested in the illusion! 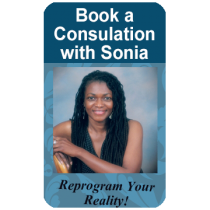 Book your consultation and let's shift your life into a much more profound experience. You have already mastered the life you have its time to experience a less predictable life! Grow your brain! Let's talk!